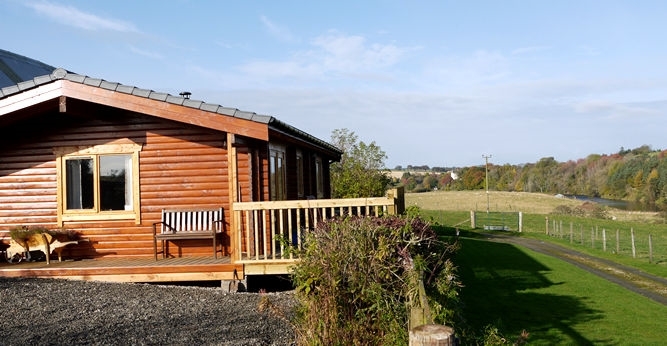 All properties are ideal for people who want to get away from it all. Superb views over Deveron Valley from enclosed walled garden. Garden furniture and barbeque included. An ideal base to explore this lovely part of Scotland. You will find the Castle and Whisky Trails, golfing, fishing, walking and skiing are all part of staying in this Grampian part of Scotland. Both properties have everything you need to enjoy a holiday you won't forget. 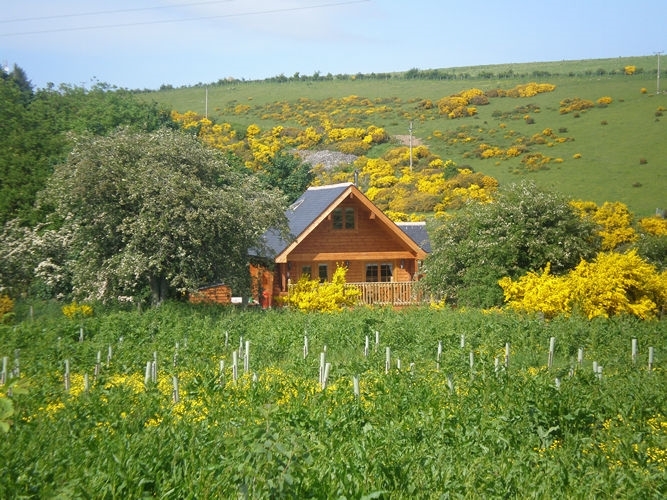 We have five self-catering properties, three cottages and two log cabins as well as the option for bed and breakfast. 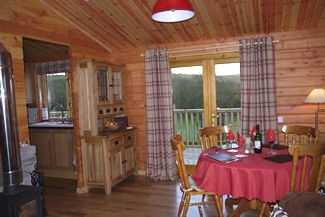 Log Cabin - Sleeps 4. 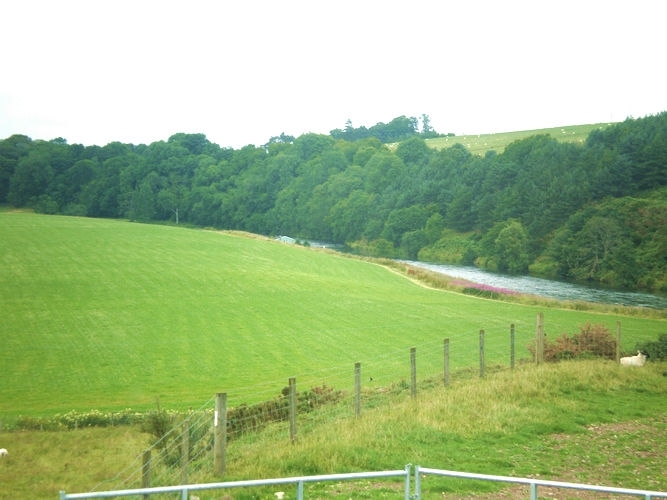 Set in 2.5 acres of private wood overlooking the river Deveron. 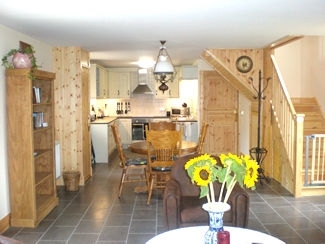 Downstairs: open-plan living room/kitchen with log burner, double bedroom, one twin bedroom, shower room. Upstairs: One double bedroom overlooking river. Electric radiators. Electricity by coin meter, with £10 included during the summer, and £20 in winter. 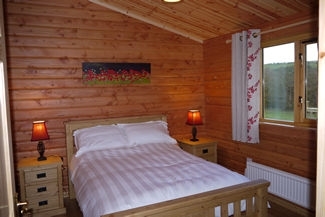 Cottages - Sleeps 4 + cot. 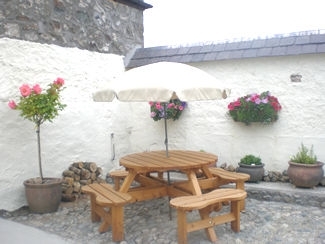 The old farm workers' cottage has been converted to provide luxury accommodation. Downstairs: Open plan sitting room/kitchen, one twin bedroom, shower room. Upstairs: One double bedroom. Oil central heating. Bothy - Sleeps 2. 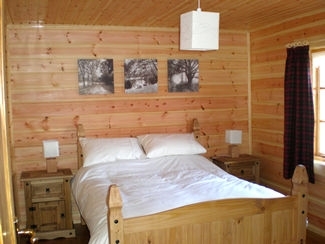 The twin bedded bothy is very cosy and ideal for two people. All on one level with wood burner and electric radiators. 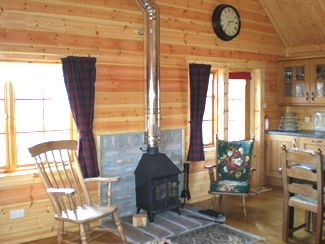 The Bothy is also used for bed and breakfast. 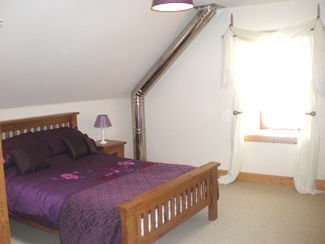 All properties include bed linen and towels and have attractive gardens, with garden furniture and barbeque.